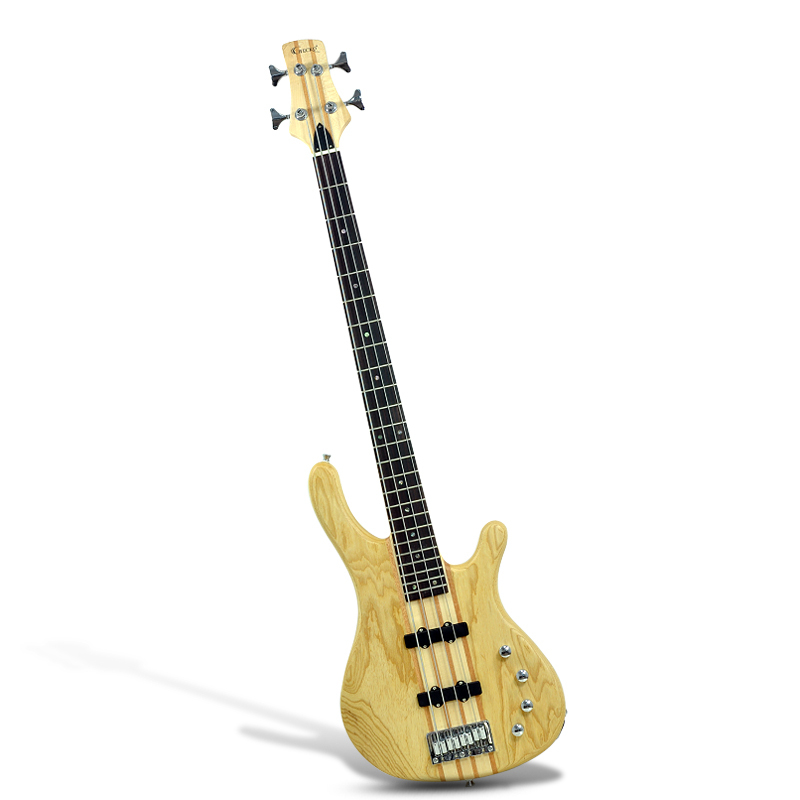 Successfully Added Electric Bass Guitar - 2x Tone, 2x Volume, 24 Frets to your Shopping Cart. Electric Bass Guitar with 2 Volume and tone adjustments, 24 Frets for more sound and two single coil pickups to truly have control over your 4 stringed instrument. This stunning designed masterpiece is a 24 fret electric bass guitar that will cause a sensation when being used on stage. With a detailed and beautiful body that consists of ash, maple and mahogany, not only do you get a bass that looks the part but also you get an instrument that sounds the part too. Control the sound with the two volume and tone adjustable knobs, this will help all you wannabe Buddy Hollys get the sound you so wish to desire. This electric bass guitar has 24 frets therefore the result is more hand clearance when playing in the higher registers than on a 22 fret guitar and also you can tune down a whole step and still be able to play every note as you would on a 22 fret guitar tuned to standard. What makes this electric bass stand out even more is that it has two single coil pickups; this is a type of magnetic transducer, or pickup that electromagnetically converts the vibration of the strings to an electric signal. In stock now, this Electric Bass Guitar can be shipped out to you within 24 hours of ordering and comes with a 12 months warranty. Brought to you by the leader in wholesale music instruments, Chinavasion.